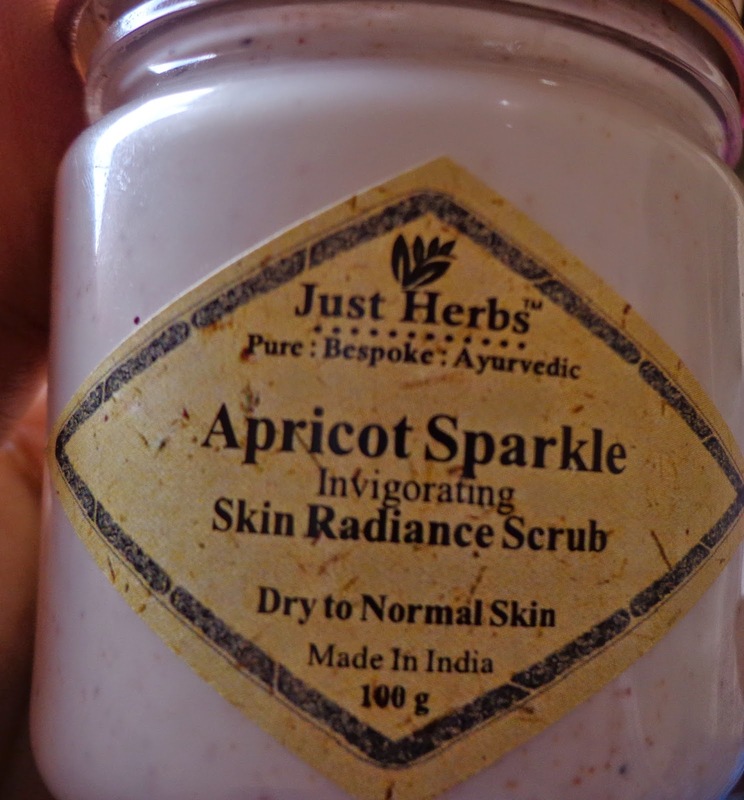 Recently I have reviewed the Just Herbs Sanface Skin Tightening Sandal Glow Pack and today I am reviewing one more product from this brand which is Just Herbs Apricot Sparkle Invigorating Skin Radiance Scrub,which is a creamy scrub with mild gritty scrub particles (which may be grounded Apricot kernals). Color and Texture : This is a white colored creamy scrub with minute gritty particles. 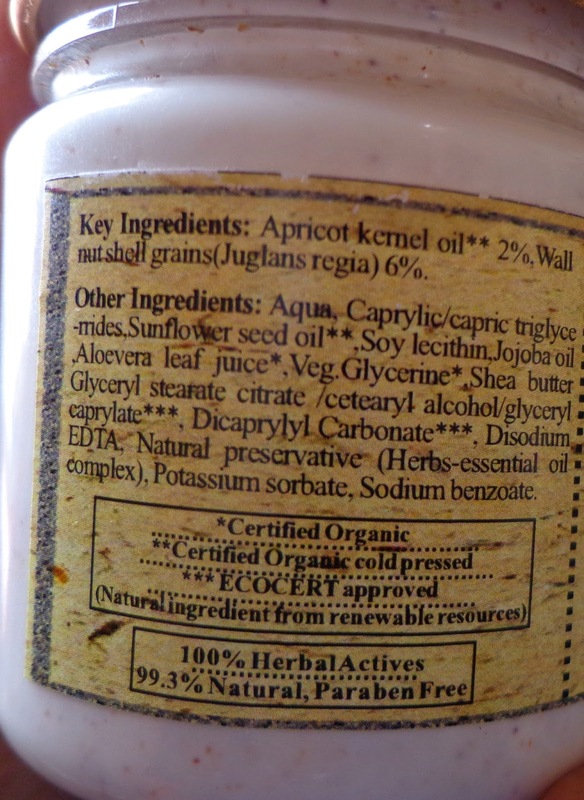 What the product Claims : A specially formulated cream enriched with pure expressed oil of apricot kernels to unmask your true complexion by the gentle mechanical buffing action of Persian walnut shell grains , sloughing away dry , dead and flaky skin while stimulating cellular regeneration and allowing smoother and lively skin to surface. It helps dissolve the sebum build up to unclog the pores and to liven up dull skin. 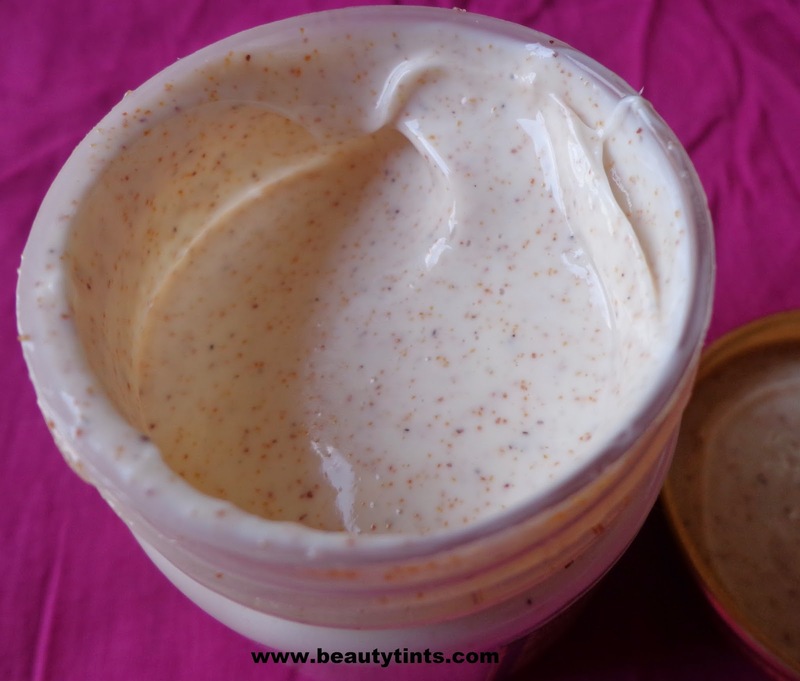 It effectively smoothes the rough patches of skin and even softens the hardened skin on the elbows and creates an even color tone to smoothen, purify and beautify complexion. Directions : Massage on face and neck with finger tips in circular strokes.Wash off with lukewarm water followed by a cold splash and pat dry. Use once or twice a week. 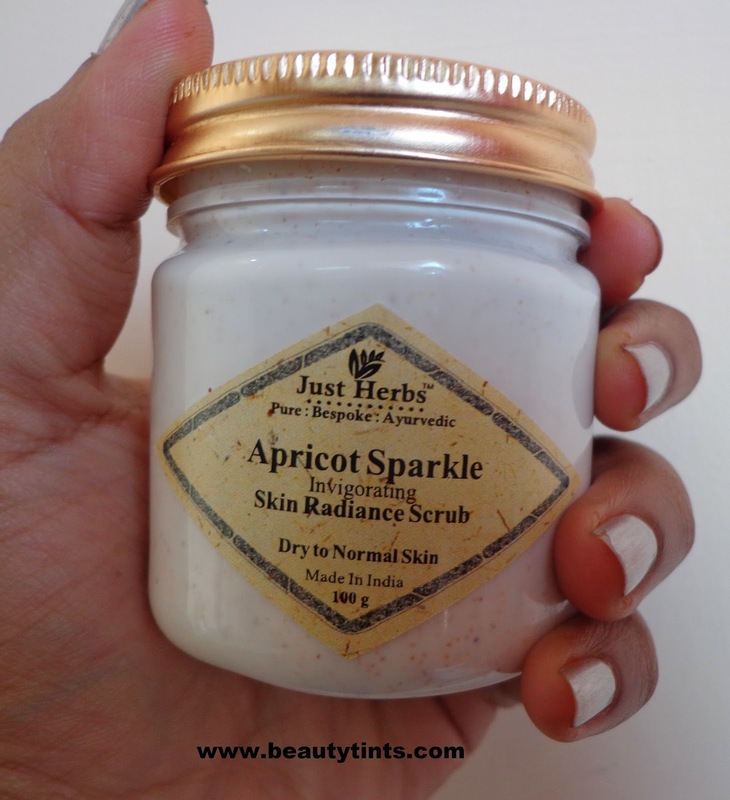 Final Conclusion about Just Herbs Apricot Sparkle Invigorating Skin Radiance Scrub : Overall it is a good creamy scrub with mild scrub particles,which are not at all harsh on the skin, yet removes the dead cells effectively without drying the skin.It also gives instant smoothness and radiance to the skin. Except those who have pimples,every one else can surely give it a try!! !